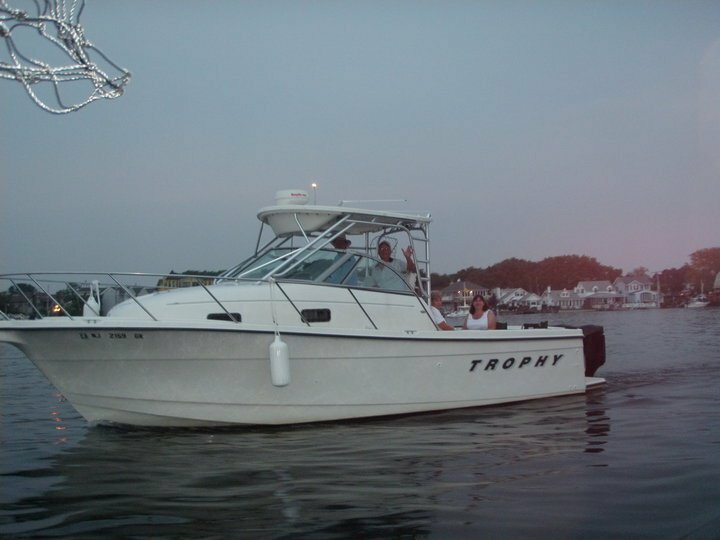 I purchased this 28' Bayliner Trophy this year and I am having a hard time deciding on a name. My wife and I have been married for 29 years and this is our first boat. I am a carpenter and volunteer firefighter and she is an insurance agent. We enjoy pleasure boating together and I also fish off the Jersey shore. I would appreciate any input. Nice boat! Since both your wife's job and your volunteer efforts provide it in a different way, and since your boat will provide it to you, my name suggestion is "Life Insurance". Use it or not, enjoy your time out on the water!